On the 20th of May, 2016, a team from Kalki Avatar Foundation Bangladesh visited the Gazipur District to spread the message of divine love. There were over 500 houses, which our team visited and handed out leaflets bearing the divine signs of Kalki Avatar Ra Gohar Shahi. 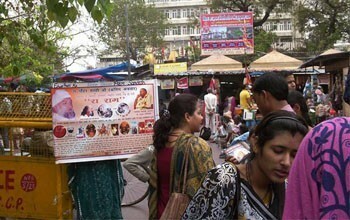 People were very receptive to our message and were grateful to learn about Kalki Avatar Gohar Shahi. Many recipients of our message to Invocation of the Heart (Simran) of Ra Raam from the miraculous image of Kalki Avatar.